Featuring a common kitchen, a terrace with hammock, and a common room with a library, Aymarak Hostel offers free Wi-Fi and daily breakfast. The commercial area is 3 blocks away. The bus station is 300 metres away and the train station is 400 metres away. The citys museums are all 3 blocks away, and Manco Cpac International Airport is 45 km away. The lakes harbour is 1,5 km away. 135 South AV.Circunvalacion with the JR.puno to the left side of the premises of sicuris, 3 blocks away or 5 minutes from the plaza de armas. Puno is served by the Inca Manco Capac International Airport in nearby Juliaca. Although there are international flights arriving to this airport, you are well advised to price out your trip by way of Lima. Daily buses depart to and from Cuzco and Arequipa. The ride from Puno to Cuzco takes about 8 hours. 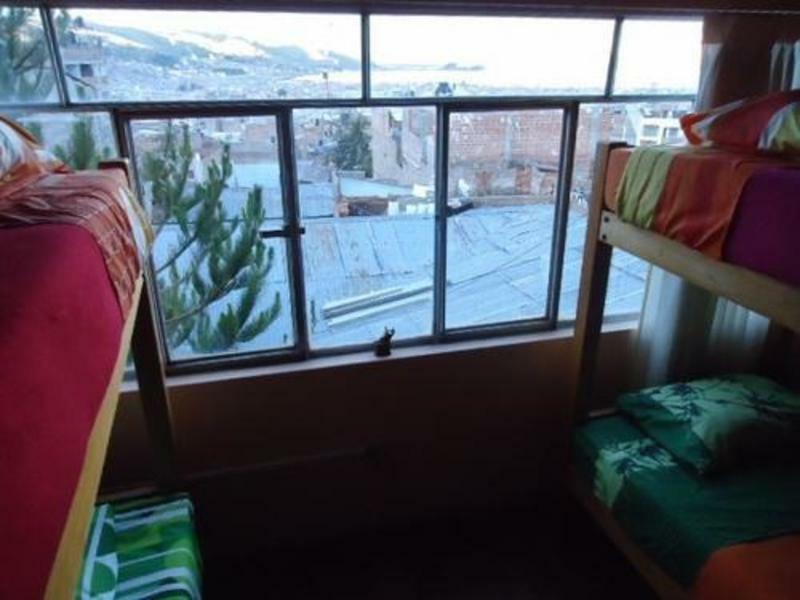 There's a night bus leaving Puno at 19:30 and arriving in Cusco at 4:30 am.